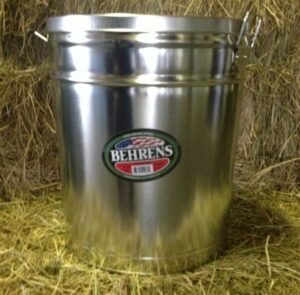 Made of high-grade steel, this 6.5 gallon lard stand is just the ticket to render hog fat into cracklin. But folks know that these stands can be used for many other purposes; make wine, store bird seed, sugar, flour, dog food, just to name a few. Amos like to boil a fresh ham in a lard stand.